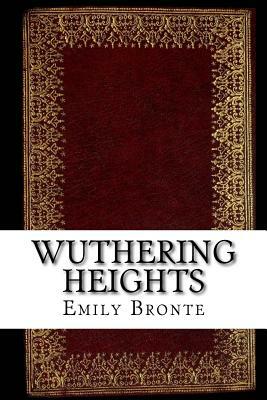 Emily Bronte's only novel, this tale portrays Catherine and Heathcliff, their all-encompassing love for one another, and how this unresolved passion eventually destroys them both, leading Heathcliff to shun and abuse society. First published in 1847 under the pseudonym Ellis Bell, Wuthering Heights is considered to be a classic of English literature. Show Excerpt assist him in counting his gold. 'I don't want your help, ' she snapped; 'I can get them for myself.' 'I beg your pardon ' I hastened to reply. 'Were you asked to tea?' she demanded, tying an apron over her neat black frock, and standing with a spoonful of the leaf poised over the pot. 'I shall be glad to have a cup, ' I answered. 'Were you asked?' she repeated. 'No, ' I said, half smiling. 'You are the proper person to ask me.' She flung the tea back, spoon and all, and resumed her chair in a pet; her forehead corrugated, and her red under-lip pushed out, like a child's ready to cry. Meanwhile, the young man had slung on to his person a decidedly shabby upper garment, and, erecting himself before the blaze, looked down on me from the corner of his eyes, for all the world as if there were some mortal feud unavenged between us. I began to doubt whether he were a servant or not: his dress and speech were both rude, entirely devoid of the superiority observab.